Money belts, stash belts, fanny packs — whatever you choose to call them, these figure-hugging carry-alls will keep your money, passport and other documents safe while you travel. Forget about trendy backpacks or designer handbags: a money belt will ensure that nobody can turn your dream adventure into a cash-strapped, stranded nightmare. Dress them up or dress them down, the key to your money belt style is safety. Keeping your belongings safe is always in fashion, and these concealed pouches are tucked away from the grabbing hands of pickpockets to bring you peace of mind while you roam. Available in a variety of styles, you can keep everything you need close to hand and away from prying eyes. Not all money belts are equal, although they are all much safer than having your bag easily accessible by criminals. The modern criminal isn’t just looking for cash. 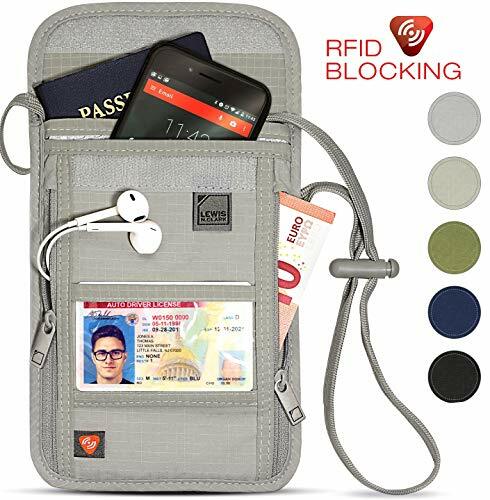 Credit cards and bank cards can easily be cloned using electronic devices, and RFID blocking protection built into the fabric of the belt will stop those pesky pickpockets from being able to clone your card. If you are planning on literally keeping your valuables close to your chest, you want to know that the material your money belt is made of will withstand such close contact, especially in warmer climates. Choose a money belt made from breathable fabric to prevent large sweaty patches or skin irritation, and opt for waterproofing to help with easy wipedowns at the end of the day. You would assume that if your money belt is safely tucked away underneath your pants, no one would be able to get close enough to cut the straps without you noticing. While this is mostly true, if you take it off, hang it across your body, or flash it about too much, it’s entirely possible that someone could try their luck. 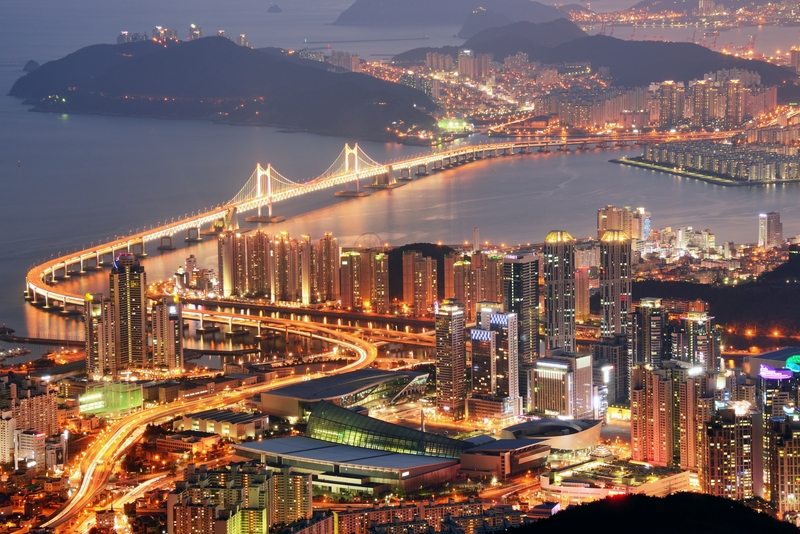 Not every traveler just wants to wander through the city or enjoy long walks on the beach. If you’re planning some extreme sports, cycling, or running, your needs for a money belt may differ. Look for those that are ultra slim, compact, lightweight, and made from breathable and waterproof fabric. Because not all travelers are the same size, it is important to find a belt that fits you like a glove. Too tight and you’ll feel like you’ve been cut in half, too loose and it defeats the purpose completely. If you simply want to carry cash around with you, a small money belt will suffice. But if you want to keep your phone, passport, and any other essentials tucked away too, opt for one that has different compartments to keep everything separated and make access quick and easy every time you need to use it. They may not be the best-looking accessories, but they’re without a doubt one of the most valuable in some parts of the world. Choose wisely, and you will never have to worry about begin targeted by pickpockets — and you can keep your valuables close at all times. Looking exactly like a regular belt, the Zero Grid Travel Security Belt is so discreet that no one would even know it was anything more. 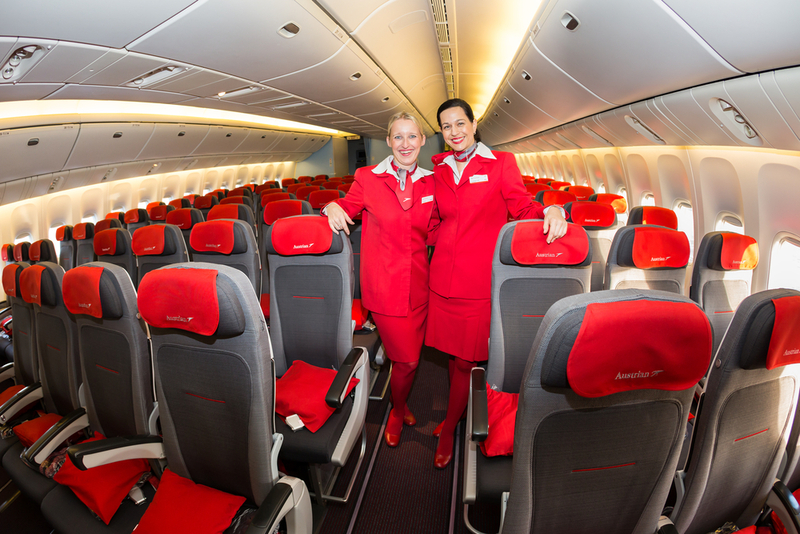 It even comes complete with a durable plastic buckle, meaning you can waltz through airport security without having to take it off. So low-key you can even use it as an actual belt, simply slip your notes into the zipper section that runs on the inner panel of the belt. This clever design is also practical — hide your cash and keep your pants up at the same time! Made from top-grade nylon webbing and featuring a smooth gliding YKK zipper, this belt should last you many years of travel, and it will literally draw zero interest from would-be criminals. Unisex and uber practical, this is the ultimate cash-only money belt that can be worn anywhere. 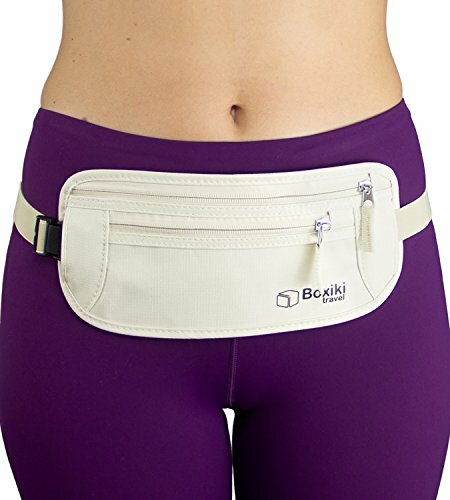 This traditional money belt offers peace of mind and absolute comfort. Hidden safely away underneath your clothes, it is discreet and slim, meaning it won’t draw attention from those who would wish to rob you blind on your travels. Made from hard-wearing tear-resistant nylon, this pouch/belt combo is also water resistant and has an adjustable comfort strap for customizable wear. You’ll find multiple inner compartments where you can easily hide or access your credit cards, passport, or cash, all of which are kept shut tight using industry standard YKK zippers. An RFID-blocking inner liner adds another layer of protection that prevents tech-savvy criminals from cloning or using your credit cards, no matter how close they get to your person. 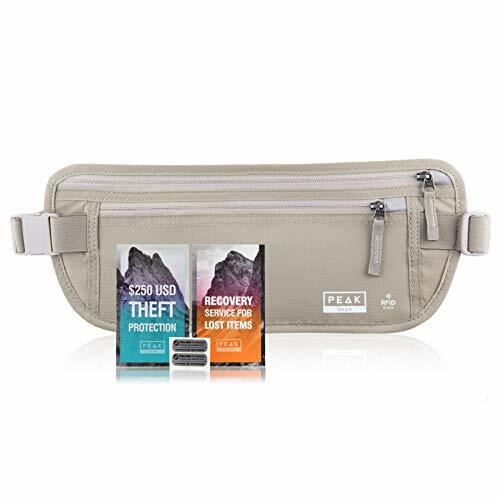 Another added benefit of this money belt is the $250 theft insurance and the Global Recovery Decals from ReturnMe, which will help you get lost items back anywhere in the world. Bottom Line: Wearable, breathable, and pleasantly discreet, you can keep all your cash, cards, and valuables hidden away all day without too much worry. This is a great design that’s very well executed. This is the ultimate in RFID-blocking money belts. Good looking and easy to use, it is also RFID-secure and contains individual compartments perfect for holding cash, important documents, and even your phone. Stay safe from pickpockets as your valuables remain invisible and tucked away. Worried about electronic hackers? The RFID-blocking material can help protect against the scanning of digital electronic chip items by those looking to gain access to your card while you travel. Quality comes standard with this money belt as the heavy-duty ripstop nylon resists ripping, cutting, and wear and tear. And the breathable mesh backing will stay close your skin without causing any nasty sweat patches (you may even forget that you are wearing it). 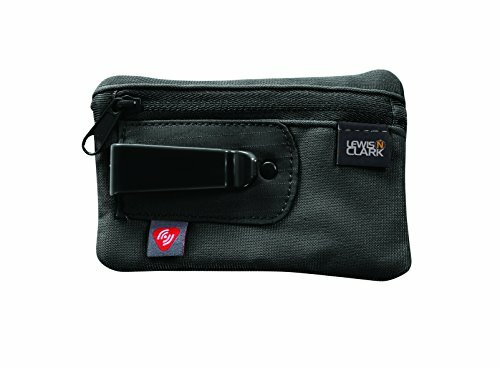 This discreet money belt is made using 100% RFID-blocking material and water-resistant, heavy-duty ripstop nylon. Its design makes it virtually invisible to thieves, allowing it to be hidden away inside your pants or under your jacket. Different compartments are perfect for keeping your money, passport, ID, and credit cards safe from anyone trying to get a hold of them. What’s more, the RFID-blocking inner sleeves are a neat design that stops you falling prey to digital pickpockets looking to gain access to your card details. 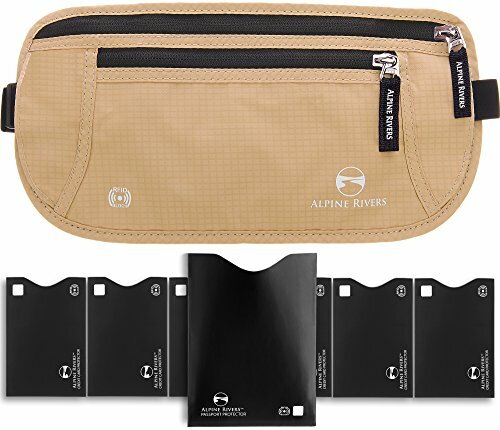 Lightweight and easy to wear, the Alpine Rivers money belt features a high-quality YKK zipper, reinforced stitching, and is made from soft material to make it skin friendly and prevent uncomfortable heat and moisture. Bottom Line: This money belts looks good, is easy to access when you need to, and will keep your valuables protected while you travel. If you want to keep your valuables safely hidden underneath your clothes, this little baby is the perfect fit at a reasonable price. Super slim and offering secret compartments and individual pockets, this RFID-blocking travel wallet is one of the most durable and lightweight on the market. Made from heavy-duty nylon, this money belt will resist water, mold, and mildew to help prevent stinky odors. It comes with a breathable padded mesh backside that makes it just as comfortable to wear as its counterparts on this list. It’s not just comfort that this money belt offers —it’s as clever as it is good looking. Complete with RFID-blocking materials on the inside, your chip-enabled credit cards are protected from scanning to prevent you from becoming the victim of theft, wherever you are. Easy as 1-2-3, this belt is designed for those who want to ramp up their exercise while traveling. 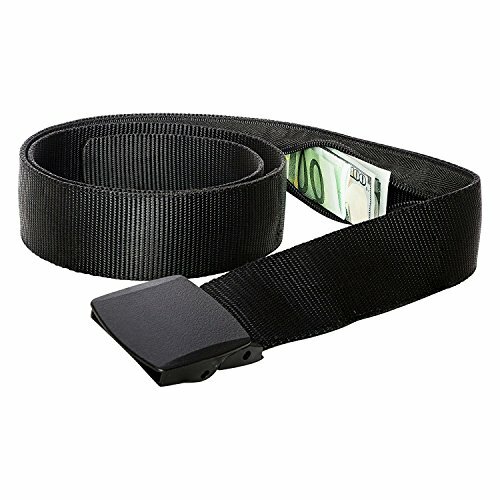 Made from a high-quality blend of Spandex Lycra material, this belt is soft and stretchy enough to remain flexible as you move while securing your valuables. This handy little number offers 2 zipper pockets for cash, cards, or even your passport, as well as a compartment that’s big enough to hold your phone securely while you run. It has a key buckle for attaching your car or room key too. A practical alternative to bulkier travel belts, the Eazymate running belt is great for those looking for high-octane adventures all across the globe. 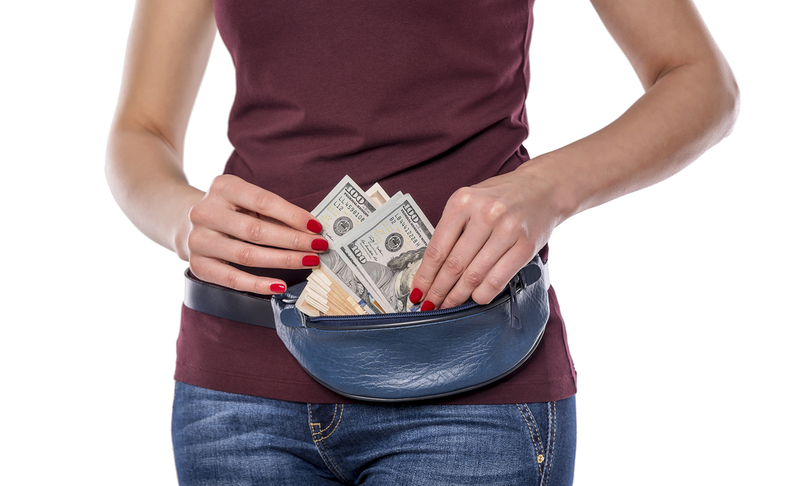 If a money belt isn’t for you, consider investing in a hidden pocket instead. These discrete patches can slip into your belt or tuck in to your waistband to keep your valuables safe. Modern-day pickpockets know exactly how to access your cards without ever having to touch them. Luckily, anti-theft wallets can be hidden on your person to keep your valuables completely safe while you roam. Built to last with ripstop nylon and self-repairing zippers, these ultralight wallets contain a built-in RFID-blocking lining to protect your cards against electronic pickpockets and identity theft. Not only are these wallets used to prevent crime, but they also offer a lightweight and easy-to-wear alternative to money belts. Just sling it around your neck or tuck under your clothes to ensure your passport, money, and travel documents are always safe. More similar to a regular wallet, this cool-looking clip wallet will keep your money and cards safe wherever you are. Made from ultra-strong nylon with a self repairing zipper, this discreet travel wallet is perfect for hiding away under your clothes. Clip it to your belt or stash it in your pocket to prevent thieves from accessing your cash and cards while you travel. 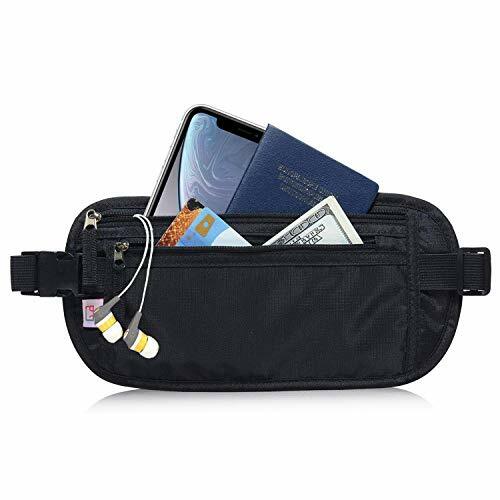 Discreet, lightweight, and with a useful inner compartment, this travel wallet is perfect for anyone who wants the security of a money belt without having to wear one. Stash your ID, credit card, currency, coins, and other small necessities in this RFID-blocking anti-theft clip to keep them safe. The fabric wicks away moisture as well as resisting odor, mildew, and shrinking to keep you comfortable wherever you are. Bottom Line: This clip may not be as secure as the money belts listed above, but it’s small and discreet enough that you may prefer it. Keep your valuables hidden with this discreet hideaway pouch that will easily tuck into the waistband of your pants. With belt loops offered in classic black or brown, this little pouch will go virtually unnoticed by anyone looking to help themselves to your belongings while you’re on the move. Passports, IDs, money, and cards can all be safely tucked away in this compact travel wallet pouch. Made from durable and lightweight ripstop nylon, this one is so comfortable, you may even forget you are wearing it. Built with longevity in mind, you should be able to take this anywhere in the world with you for many years to come. 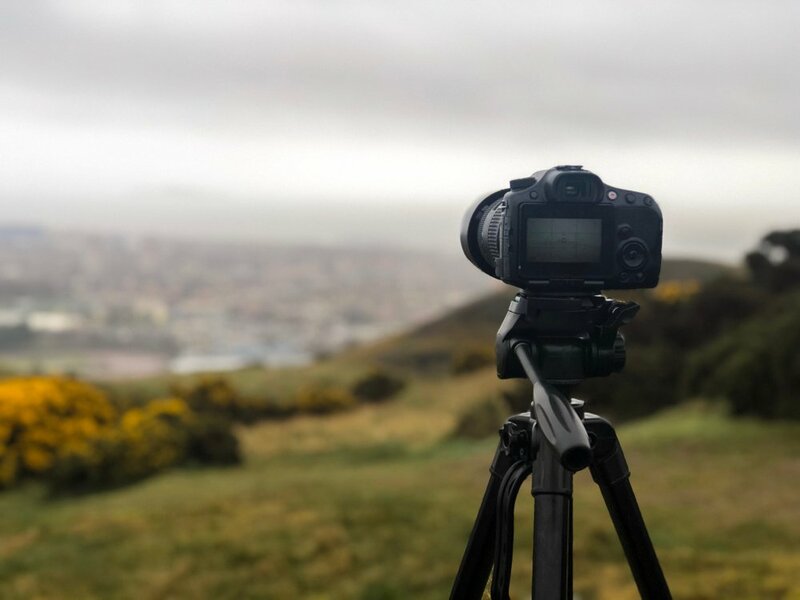 The breathable back panel prevents the pocket from sticking to your skin and keeps your money dry no matter how hot or wet your surroundings are. The only thing missing from this is RFID blocking…but because it’s so discreet, you may not even be a target! This clever little garment looks exactly like a regular scarf, but it is actually designed to cunningly disguise your most treasured possessions and keep them hidden away. This high quality, well-made neck scarf will keep you warm in the colder weather and adds a fashionable flourish to any outfit. Made from high quality soft yet durable material, this scarf is fully lined with a secret pocket that is just large enough to fit your iPhone, your passport, your keys, and some cash. Perfect for ladies on the move, you can keep all of your belongings perfectly safe and out of harm’s way while staying stylish and keeping warm. There are currently 16 different colors and patterns available so you should have trouble finding something that suits your style. Life on the open road will be even sweeter knowing that your most important belongings are nice and safely stored away somewhere no would-be thief would ever think to find them. 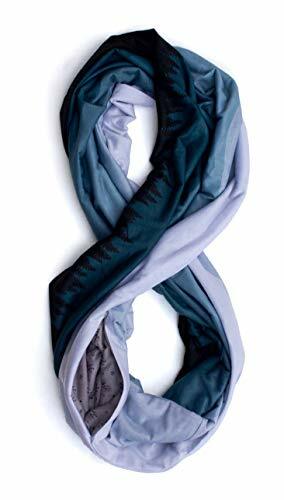 Keep your valuables easily accessible as and when you need them with the Infinity Scarf from Waypoint. Even the best money belt in the world can’t protect you if you insist on flashing your cash around – or you’re prone to leaving your important documents in places where anyone could find them. The very best way to keep your money safe while traveling? Look after it, of course. Use a money belt for cash and coins. Use an RFID-protective pouch or belt for cards. Keep your passport and ID on you at all times, but don’t constantly check on it (patting your valuables just signals to pickpockets where they are). Use a secret stash bra pocket. Lock your belongings in a hotel safe. Use an anti-theft bag or backpack while you travel, complete with electromagnetic blocking and slash-proof straps and handles. Use a running belt if you plan to stay active while you travel. 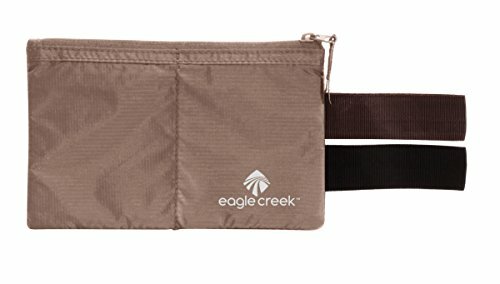 Use a money belt that looks just like a regular belt (like the Zero Grid Money Belt above) if you’re in situations where you want to remain truly discreet. Keep your wits about you and your money belt tightly secured wherever you are. Using a money belt will ensure that your money, passport, ID, and even your phone are safe from criminals and pickpockets while you travel. They are also super comfortable and incredibly practical — and while they’re affordable enough to buy, they literally could end up saving you a fortune!